The Sun leaves Sagittarius and enters Capricorn this year on December 21 at 11:12 a.m. U.S. central time (5:12 p.m. Greenwich time). Capricorn, a cardinal earth sign, is associated with structure and building as well as discipline, work, integrity, patience, and ambition. 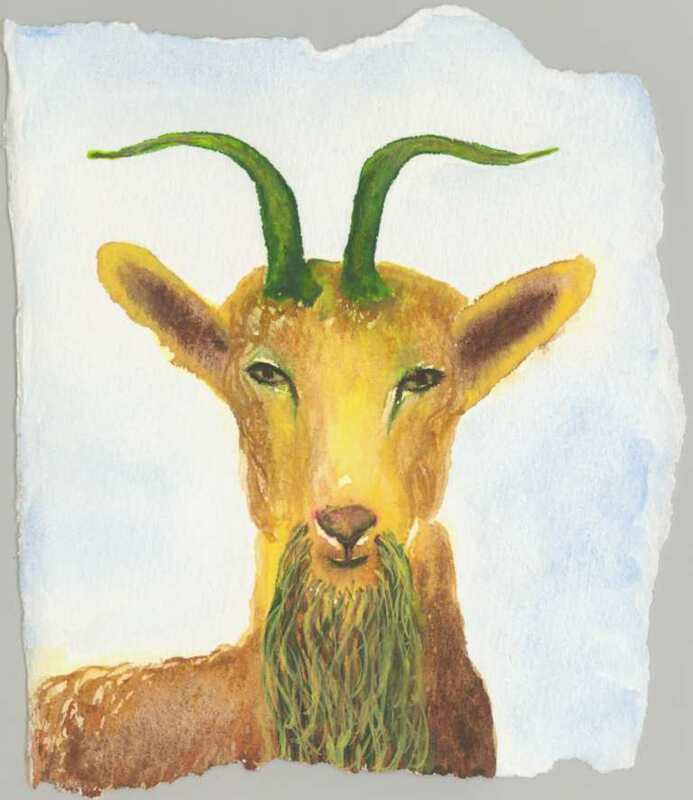 Find out more about this sober, practical sign of the Goat in the book Follow the Sun: A Simple Way to Use Astrology for Living in Harmony. 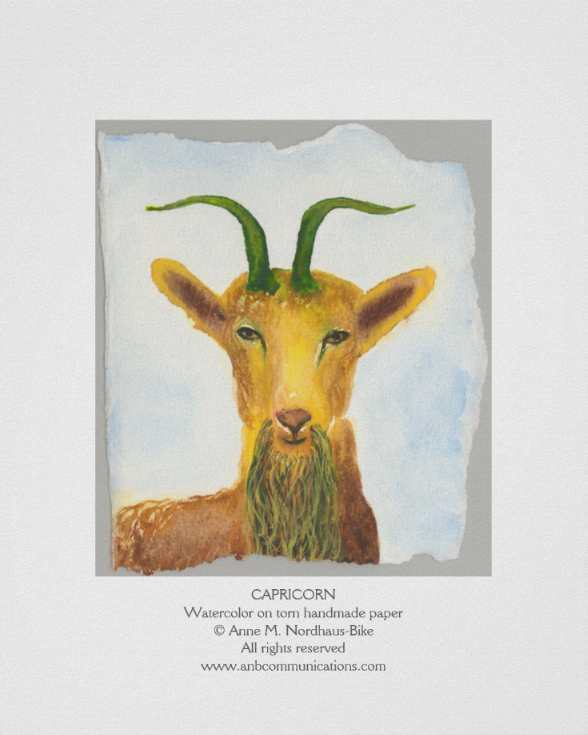 This colorful astrology and art book includes the vibrant Goat watercolor shown here. This painting is available as an astrology birthday card, a blank note card, and a poster that can be ordered unframed or in your choice of frame. Follow the Sun also has watercolors for every other sign in the zodiac. Whatever your Sun sign, Follow the Sun will help you align with nature’s cycles by showing you how to enjoy the sign of the Goat fully. 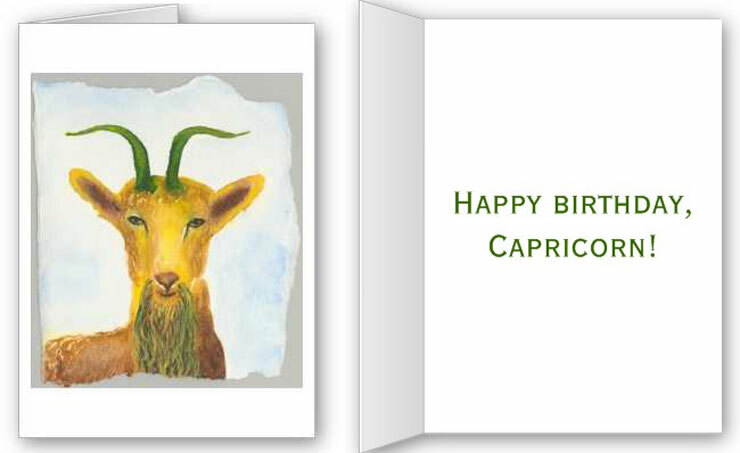 See our astrology posters, note cards, and birthday cards by clicking any of the Capricorn images here.